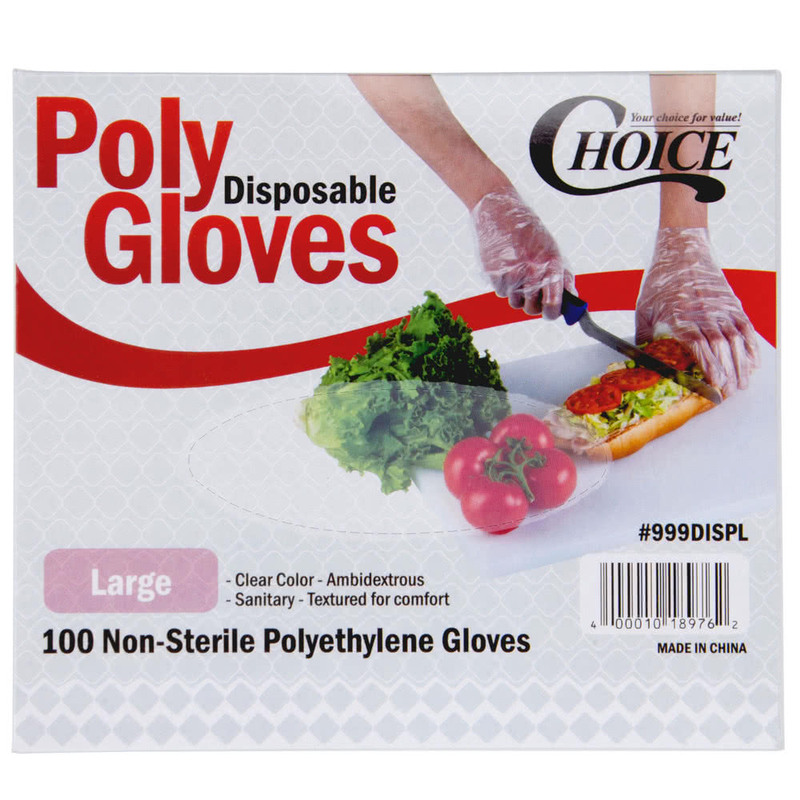 Ideal for tasks that require constant glove changing within your food service operation, these gloves are perfect for tossing salads and making ready-to-order sandwiches. The powder-free poly material is easy to slip on and off and the comfortable fit doesn't get in the way of your tasks. They're also 100% latex-free. These gloves will fit either hand, so your right-handed and left-handed staff can all benefit from the safety and convenience of this versatile product.